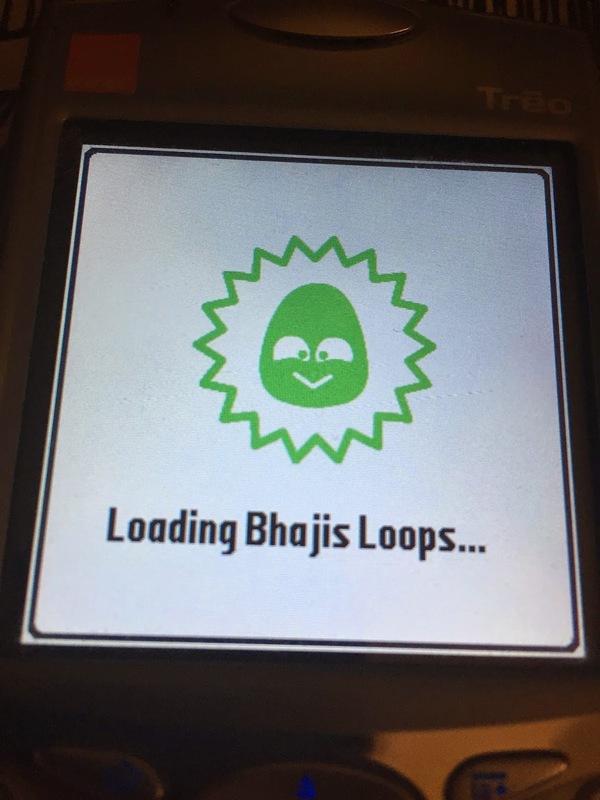 The other day I started up my Treo to do some more work on my next Palm OS app, then got completely sidetracked with Bhajis loops. I'd forgotten again just how amazing it was, and also how many unfinished pieces I had on the Treo. I'd also forgotten some of other features too. So I thought I'd post some of the more amusing parts of Bhajis Loops over the next few days.